Please contact us to customize this tour only for you. 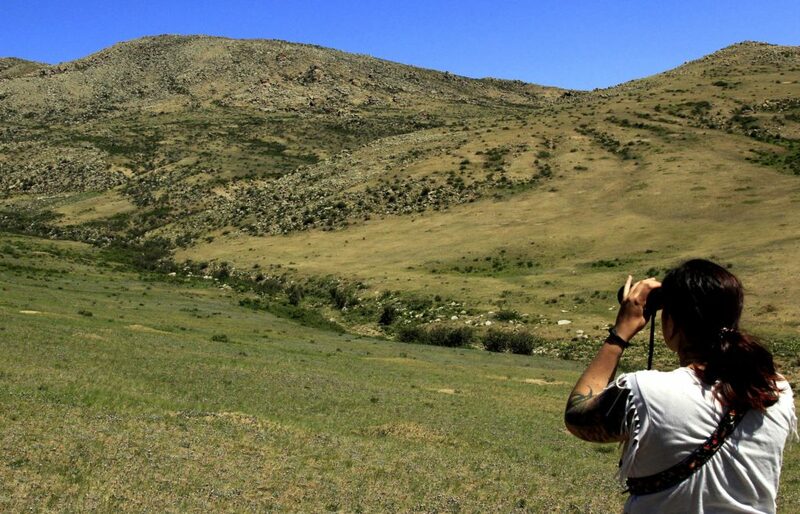 First, we’ll visit Khustai National park to see wild horses called “Taki” also, it’s known as Przewalski’s horse. After lunch, we’ll drive to the Khogno Khaan mountain. Between Ulaanbaatar and Kharkhorin lies this red rocky mountain (1967m) and 46,500-hectare area. It is a perfect place for walking and good for spotting ibex, wolves and many varieties of hawk. The ruins of Uvgun monastery are hidden in one of its numerous valleys in the southern slope. The monastery was destroyed by the armies of Zungar Galdan Bochigtu, a rival of Zanabazar in 1640. We arrange a camel riding trip to the sand and spend over night in a family’s spare yurt. After breakfast, we’ll ride camels for an hour and then we’ll drive to an ancient capital Kharkhorin. We’ll visit Erdenezuu temple museum and then we’ll continue driving to Tsenkher hot spring. You can take a natural hot bath here. Spend the night in tourist yurt camp. Today we’ll drive to the Great White Lake. 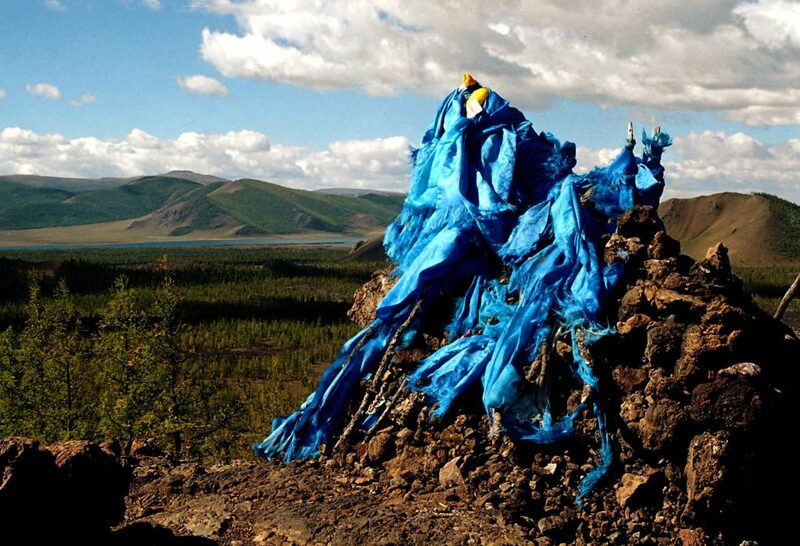 Khorgo mountain is a dead volcano, which lies on the east of the lake of Terkhiin Tsagaan in Arkhangai Province. The mountain of Khorgo is covered with basalt. The National park covers 28 square kilometers including Togoo Uul 2.240 meters above sea level and the Hill of the lake of Terkhiin Tsagaan. It has been protected since 1965. We’ll stay in a local family’s spare yurt. We’ll go hiking from the lake to Khorgo volcano for a day. We’ll enjoy the fantastic scenery from the top of volcano. We’ll stay in the same family’s spare yurt for guests. We’ll head to the Lake Khovsgol but on the way we’ll sleep in tents near Zuunnuur in order to avoid too long driving. Also, you’ll have an experience of camping. Sunset here is pretty. We’ll drive to the Khatgal village of Khovsgol province. 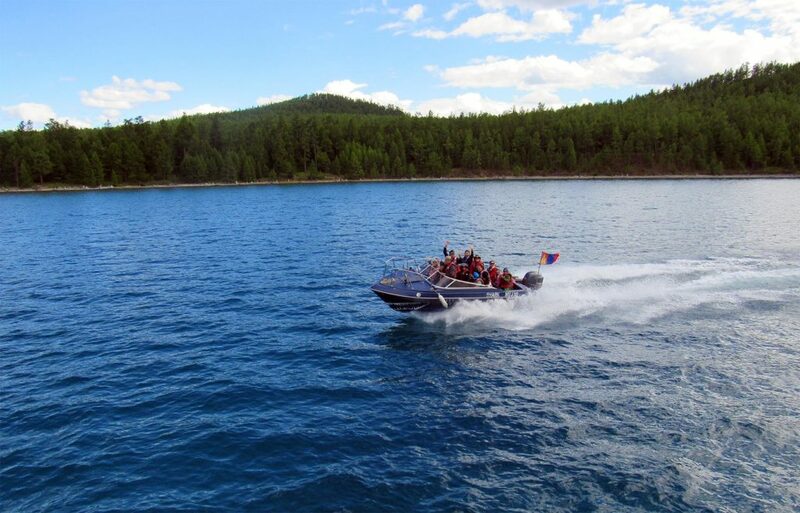 Khovsgol National park covers 8.381 square kilometers including the Lake Khovsgol and its watershed, the Lake Basin, and parts of Zunii Saran Mountain. It has been protected since 1992. The Taiga forest has Euro Asian otter, beaver, moose, reindeer, argali, Siberian ibex, snow leopard, red deer, Siberian roe deer and many other wild animals. We’ll stay in a family spare yurt. On this day, we’ll go for horseback riding for a day by the lake shore and enjoy the magnificent view of the area. We’ll spend the night in the same family’s spare yurt. We’ll continue driving and find a nice spot to camp near Khutag Undur village. You’ll enjoy scenery while we’re driving, and you’ll be able to stop for photo shooting as many times as you want. We’ll drive to Amarbayasgalant temple which is one of the interesting Buddhist temples. We’ll stay in a yurt camp. We’ll drive back to Ulaanbaatar.